Israeli forces have leveled Palestinian lands in Mesha village, to the west of Salfit province, in favor of illegal settlement expansion. Speaking with PIC, head of Mesha village council, Sabah Amer, said Palestinian lands have been increasingly seized and leveled by the Israeli occupation forces and authorities as part of underway endeavors to expand the Qana and She’ari Tekva illegal outposts. 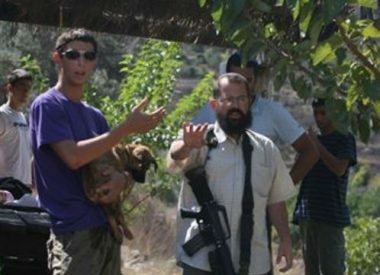 Researcher Khaled Maali also said Palestinian lands in the area have been confiscated to establish an Israeli university at the expense of Palestinian lands, referring to the establishment of an Israeli university in Ariel outpost, at which nearly 25,000 Israeli settlers have been enrolled, as another case in point. According to Maali, such moves contravene international humanitarian law, the Fourth Geneva Convention, and the Hague Convention, which prohibit the establishment of government institutions on occupied land. Maali added that the swift pace of illegal settlement construction led to the dismemberment of over 90% of Palestinian lands in Mesha village and the isolation of Palestinian communities behind the apartheid fence. Serious damage has also been wrought on olive trees grown by Palestinian farmers in the area. Mesha is surrounded by three illegal Israeli settlement outposts, including Qana and She’ari Tekva. 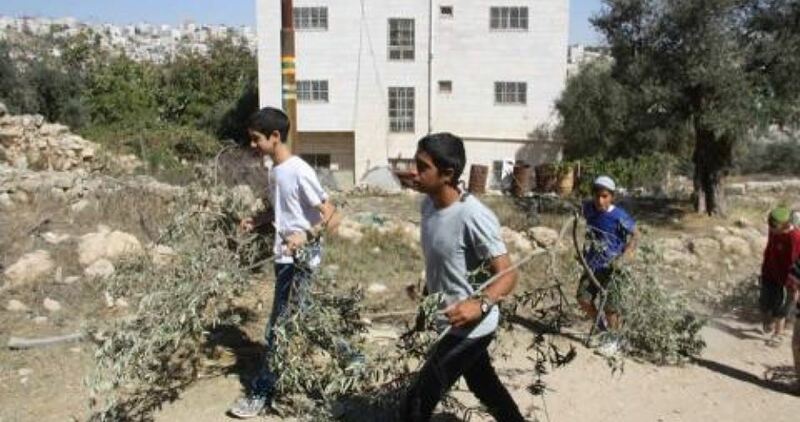 Israeli settlers on Thursday uprooted 400 olive seedlings grown in Bethlehem’s southern town of al-Khader. 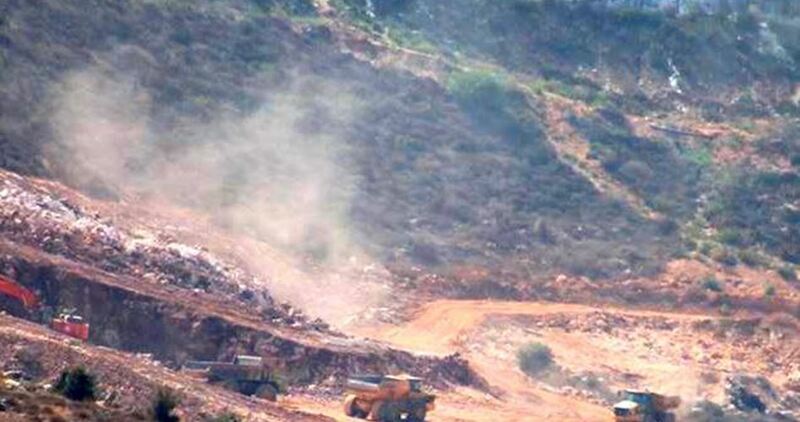 Coordinator for the popular anti-settlement committee Ahmad Salah said Israelis residing in the illegal Sidi Boez outpost stole 400 newly-planted olive trees from al-Shaaf area, in al-Khader town. 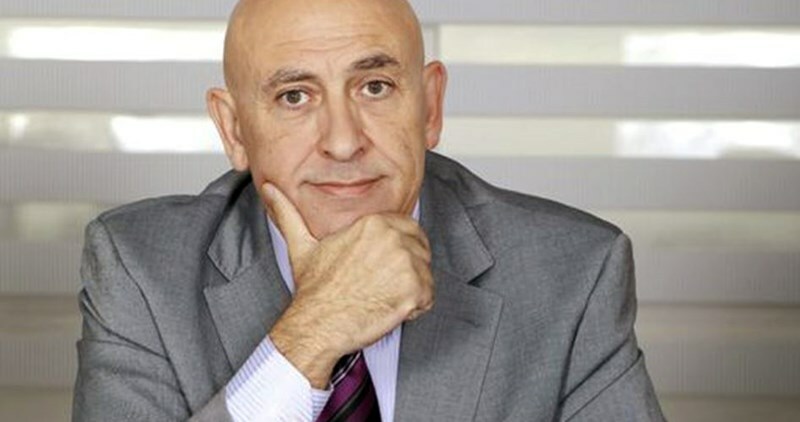 The Palestinian land owner, Ali Ahmad Issa, was reportedly shocked as he caught sight of the theft. According to Salah, Palestinian lands in al-Khader town have increasingly come under the threat of such Israeli assaults and theft attempts. A couple of weeks earlier, Israeli settlers uprooted 450 olive and grape seedlings owned by the Palestinian farmer Mohamed Abdul Salam Saleh. 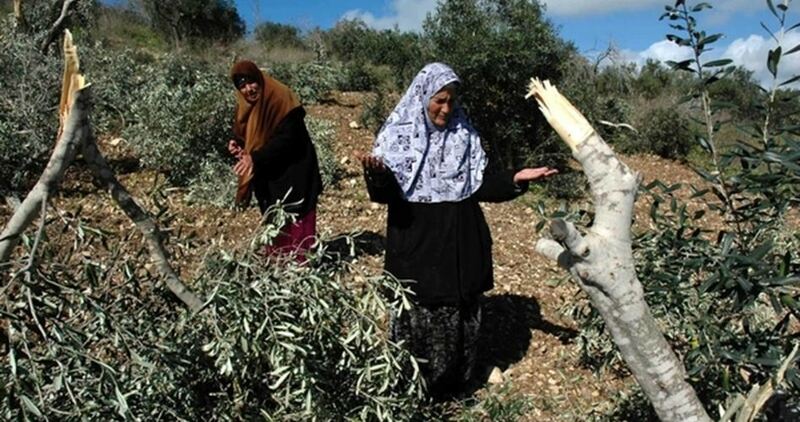 Palestinian residents of the Nablus-area village of Burqa went to check on their farmlands on the outskirts of the village Monday to find some 700 olive and almond trees cut down, allegedly by Israeli settlers from a nearby illegal settlement. Ghassan Daghlas, an official who monitors settlement related activities in the northern West Bank, told Ma'an that the trees, which belonged to Khalid Salah, Mahmoud Daghlas, and Khalid Nasser, were planted nine years ago in the al-Qubeibat and al-Qusour areas east of Burqa. The trees, added Daghlas, were planted two years after the eviction of the nearby Homesh settlement which was located in northwest Nablus. He explained to Ma'an that after the eviction, the Palestinian land-owners obtained decisions from Israeli courts including the high court that neither settlers, nor Israeli forces would harass the land owners. However, he said, in 2016 settlers started to "camp" in the area under protection of Israeli troops making it very difficult for farmers to tend their fields and water their trees. One of the landowners, Khalid Salah, managed to reach his field on Monday and notified other farmers, as well as Daghlas, that Israeli settlers had chopped down all the trees they planted in 2007. Daghlas added that Burqa villagers will organize a protest in the fields on Friday. When asked if there were photos of the cut-down trees, Daghlas said the presence of Israeli troops and settlers made it difficult for farmers to reach the fields and take photos. An Israeli spokesperson for COGAT, the agency responsible for implementing Israeli government policies in the occupied territory, was not immediately available for comment on the incident. On Sunday, 15 January 2017, the Israeli occupation forces began uprooting olive trees and leveling land near the Palestinian villages of ‘Azzun and a-Nabi Elyas in Qalqilya, B’Tselem watchdog reported Wednesday. According to B’Tselem, the work is being carried out as part of the decision made by the military and the Civil Administration to build a bypass road to replace the section of Route 55 that runs through a-Nabi Elyas. Route 55 originally served as the main link between Nablus and Qalqilya and was one of the major traffic arteries in the West Bank. Over time, as settlements expanded, it also became essential to settlers, as it connects several large settlements with Israel’s coastal plains and central region, the same source added. The decision to build the bypass road was first made in 1989, with the goal of sparing settlers the need to drive through the village of a-Nabi Elyas. However, it was not pursued until September 2013, when the Civil Administration planning institutions began the planning process. On 21 December 2015, the head of the Civil Administration issued an expropriation order for 10.4 hectares of land earmarked for the bypass road. The order noted that the new road will “serve the public good” and improve mobility between Nablus and Qalqilya. In March 2016, the Palestinian village councils and landowners petitioned Israel’s High Court of Justice (HCJ) against the expropriation, on the grounds that the road will not serve all residents of the area but only settlers. On 16 November 2016, the HCJ denied the petition after accepting the state’s claim that the road is intended to serve the entire population of the area. 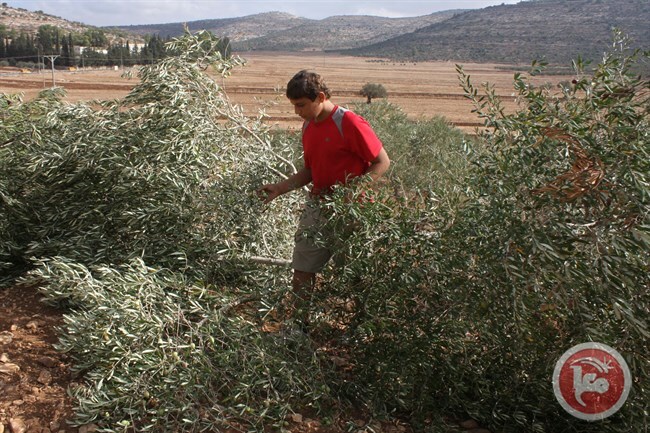 B’Tselem said the seizure of the land and uprooting of olive trees have severely harmed the Palestinian landowners, who have lost a source of income and a major financial asset, as well as an open space that served all local residents for leisure and recreational activities. Several extremist Israeli colonists invaded, Friday, Palestinian orchards belonging to residents of the Al-Khader town, south of Bethlehem, before uprooting and steeling hundreds of olive saplings and grapevine seedlings. Ahmad Salah, the coordinator of the Popular Committee against the Israeli Annexation Wall and Colonies in al-Khader, said the colonists came from Boaz illegal colonialist outpost, and invaded orchards and farmland in Ein al-Qassis area, west of al-Khader. Salah added that the colonists uprooted 300 grapevine seedlings and 100 olive saplings, and stole them before fleeing the area. The lands are owned by the sons of late Mohammad Abdul-Salam Salah. He stated that the colonists also stole rolls of barbwires and iron bars that the Palestinians brought to fence their lands to stop the ongoing Israeli vandalism of their orchards. The colonists also invaded an orchard belonging to Husam Mustafa Salah, and uprooting fifty olive saplings before fleeing the area with them. Salah said the Palestinians living in Ein al-Qassis area, are subject to ongoing violations and assaults by soldiers and colonialist settlers. The Israeli occupation army on Thursday morning bulldozed vast tracts of Palestinian agricultural land and uprooted hundreds of olive trees in Kharas town, west of al-Khalil city in the West Bank. 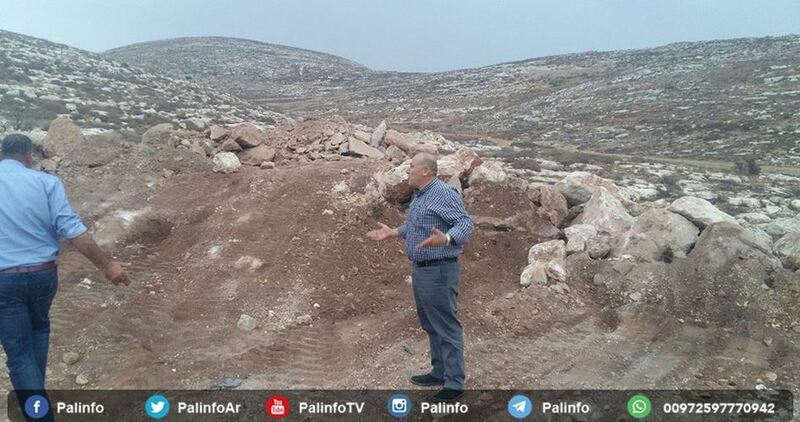 Head of the town’s municipality Abdul-Fattah Qudaimat reported that three bulldozers escorted by soldiers flattened 25 dunums of agricultural land and uprooted 500 fruitful olive trees in Khalat Rasem area, west of the town. Qudaimat added that the olive grove belongs to a local farmer called Mousa Hamdan. 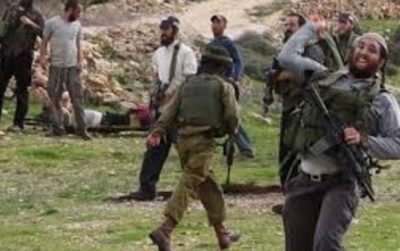 He affirmed that such action was part of Israel’s systematic violations aimed at seizing Palestinian agricultural areas in the West Bank. The Israeli Occupation Forces (IOF) cut down on Monday hundreds of Palestinian-owned olive trees in Ezba Tabib town east of Qalqilia for the establishment of road surrounding the neighboring settlements. Head of the village council affirmed that Israeli forces stormed the area along with a number of military bulldozers and starting uprooting hundreds of olive trees. At least 1,000 olive trees were uprooted in the area as a prelude for the establishment of “a settlement road,” he added. Meanwhile, Israeli forces violently suppressed dozens of local residents who gathered and protested against the bulldozing operation. Earlier Monday, IOF confiscated on Monday Palestinian tractors and a truck in the Northern Jordan Valley to the east of Tubas. Israeli forces uprooted and cut down tens of olive trees in the Karam al-Mufti area of the Sheikh Jarrah neighborhood of occupied East Jerusalem on Thursday, as part of an ongoing construction of a road connecting a nearby illegal settlement with the Israeli ministry of interior, according to locals. Local activist Muhammad Abu al-Hummus told Ma’an that Israeli authorities have been uprooting and cutting down tens of olive trees planted in the area for the last week, transferring the trees to unknown locations. According to al-Hummus, Israeli authorities put signs in the Karam al-Mufti area last year, declaring that construction works would be conducted on the land “in accordance with articles 5 and 7 of the law,” the construction and planning law regulated 1965 and plan number 4329. A spokesperson for Israel’s Jerusalem Municipality was not immediately available for comment. The Israeli occupation forces (IOF) cut down dozens of olive trees on Sunday to the east of Qalqilya city as a prelude to building a road serving settlements established on Palestinian citizens' agricultural lands. 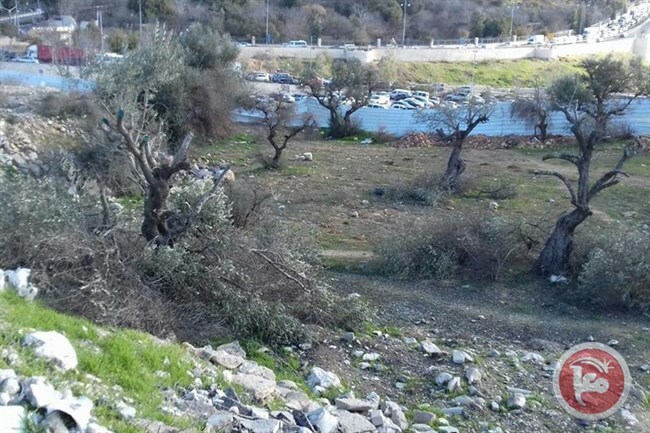 Mousa Tabib, activist in the field of settlement, said that an Israeli army force stormed the citizens' lands in Azzun and Izbat al-Tabib villages in Qalqilya in the early morning and started cutting dozens of olive trees. Tabib told Quds Press news agency that more than 250 olive trees were cut down including tens of perennial trees in preparation for building the road linking between the Israeli settlements Karnei Shomron and Alfei Menashe, which are built on Palestinian lands. He pointed out that the three kilometers long road will be constructed in the targeted area as a prelude to another 10-km-long road running through the citizens' lands in Azzun, Izbat al-Tabib and the surrounding areas. He added that the Israeli Supreme Court has rejected a petition by the Palestinian families affected by this Israeli move and asked them to submit papers proving their ownership of the targeted lands. The Palestinian activist said that the Israeli authorities claim that the construction of this road aims to secure protection for the Israeli settlers from Palestinian attacks. Tabib said that the people of the targeted lands will start protests against the confiscation of thousands of dunums of their agricultural lands and the construction of the road. He noted that this Israeli step challenges the international community after the UN Security Council passed the anti-settlement resolution.